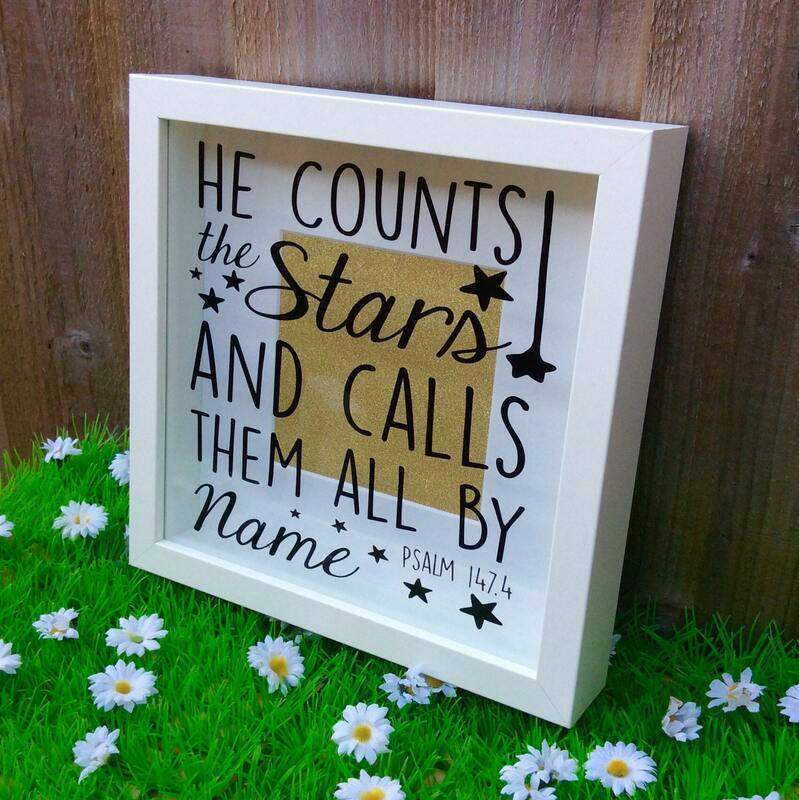 A contemporary Bible Verse vinyl box frame with a scripture that reads "He counts the stars and calls them all by name" from Psalm 147.4. 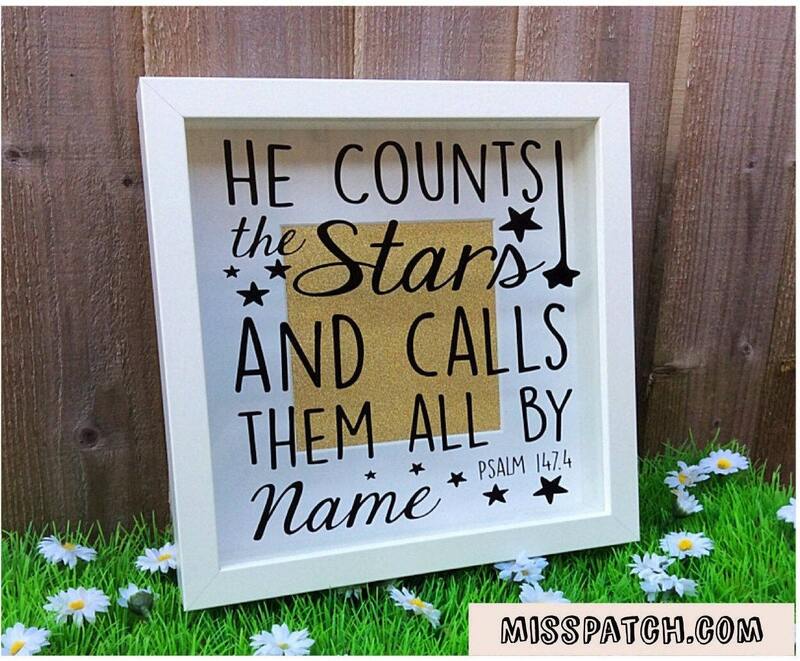 An ideal gift or keepsake for new baby or Christening. 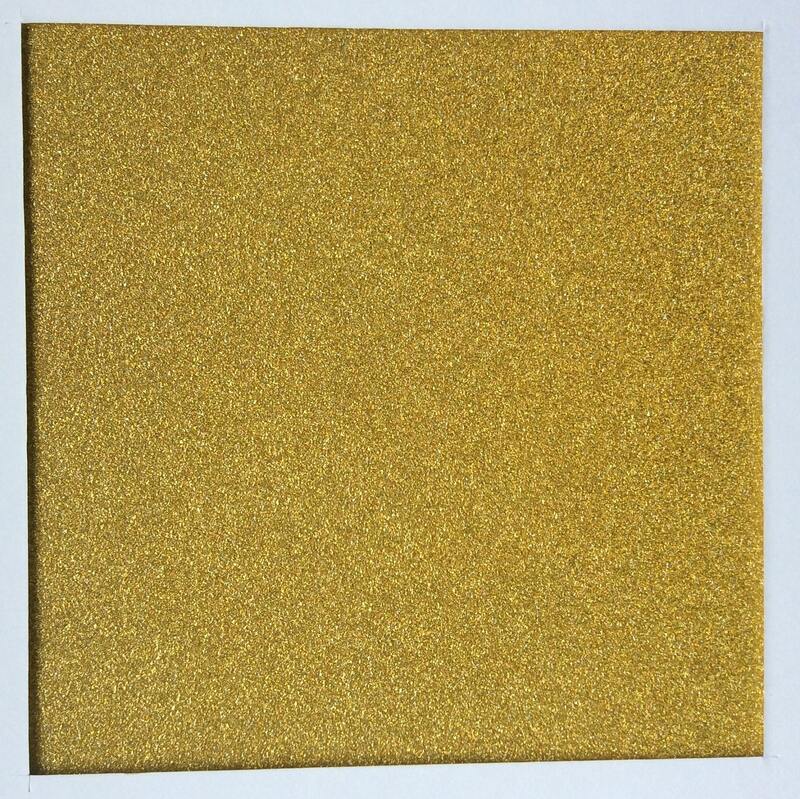 Gold sparkle background with mount. 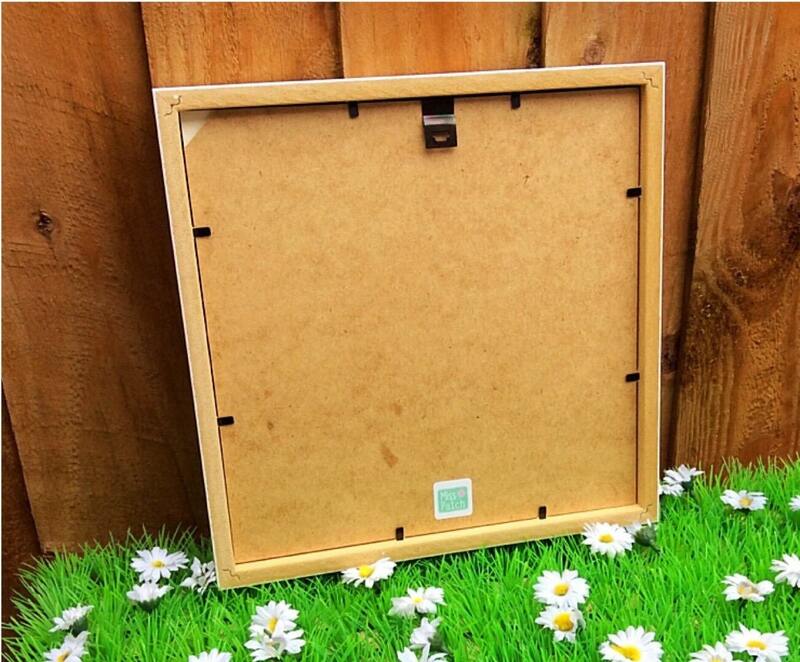 All International shipping is sent by International Standard by Royal Mail. (Maximum 2-3 weeks from shipping date) *PLEASE NOTE* This shipping is not tracked. If you would prefer your item to be tracked, please select the option when purchasing.